Many VOCs, or volatile organic compounds, are air pollutants. The term VOC is an acronym that stands for the term volatile organic compound, which is a carbon-based compound that evaporates readily and becomes airborne. VOCs exist in all living things, and some—such as methane and mercaptan—are responsible for strong odors around sewage repositories and animal feedlots. Besides being smelly, VOCs can be dangerous. They are often flammable, they contribute to air pollution, and they can cause a host of health problems. Of prime concern to homeowners is the management of VOCs from the solvents used to make paints, adhesives, cleaning products and other household materials. Although many VOCs have a strong odor, some don't, and that makes them even more dangerous. 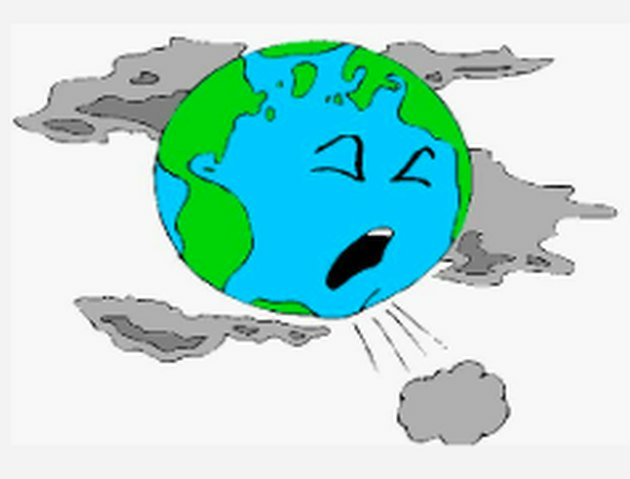 Unknowingly inhaling airborne organic compounds can cause disorders ranging from eye, nose and throat irritation to the liver and nervous system disorders and possibly even cancer. Fortunately, state regulations are forcing manufacturers to reduce or eliminate VOCs in paint and varnish, but other household products aren't as closely regulated. You can reduce the likelihood of exposure by following guidelines established by the Environmental Protection Agency. 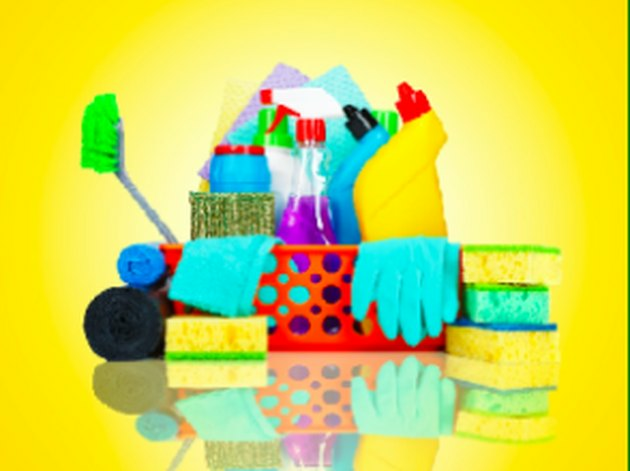 Cleaning supplies are a source of indoor VOCs. The term off-gassing refers to the release of VOCs from solids or liquids. Although paint products immediately come to mind, they aren't the only sources of VOCs. Noxious and harmful gases can come from seemingly innocuous places. New synthetic carpeting off-gasses 4_-phenylcyclohexane (4-PC)_, which can cause respiratory disorders and affect the central nervous system. This chemical is what imparts the "new carpet" smell. Recently installed plywood, particle board and some types of flooring emit formaldehyde, which is a component of the adhesive used to make them. Formaldehyde is a carcinogen. Cleaning and cosmetic products can fill the air with a number of VOCs, including acetone, benzene and perchloroethylene, which is used in dry-cleaning. Household cleaners also expose you to chlorine and ammonia. These don't contain carbon and aren't technically VOCs, but they are still toxic and extremely dangerous when mixed, which you should never do. Solvent-based paints, which are those formulated without water, can emit a number of harmful VOCs. These might include toluene, xylene, methyl ethyl ketone (MEK) or carbon tetrachloride, depending on the product. All are dangerous and continue to be off-gassed for weeks after the paint has dried. Many of these solvents are also found in paint thinner and lacquer thinner. Even many water-based products emit a significant amount of VOCs unless they have been specially formulated not to. 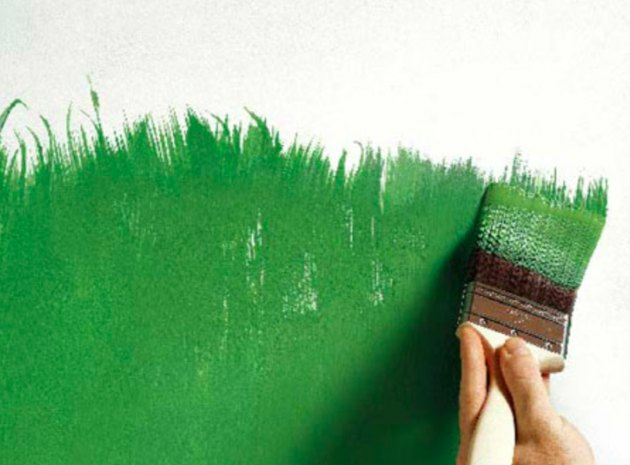 A paint may be green, but that seldom means it's completely free of VOCs. Government regulation of paint products is becoming more stringent. Federal regulations limit the amount of VOCs in paint products to 250 grams per liter, and the limits in California are even more stringent—150g/l for non-flat finishes and 100 g/l for flat finishes. Paints that meet these requirements aren't VOC-free, but many manufacturers do offer products that make claims of being entirely free of VOCs. Despite the advertising, very few of these products are genuinely free of all volatile organic compounds. One reason to view product claims of low-VOCs or no-VOCs with skepticism is that the colorants added to paints contain VOCs, even when the solvents in the paint are free of them. Another reason is that VOC content is not the same as VOC emissions. Paints with a low VOC content may still off-gas significant concentrations of VOCs, especially during application. A third reason is that VOC-content regulations often target ozone and other contaminants that contribute to smog, but not the VOCs responsible for indoor health issues. Regulators exempt some volatile chemicals if they are needed to ensure a quality product. Products formulated with natural ingredients, such as clay or milk, are more likely to be VOC-free than more conventional latex products. These paints tend to cost more, and you may not always find the color you want. Moreover, they aren't suitable for every purpose. Most people choose a low- or no-VOC latex paint product when doing interior painting, and few of these are entirely free of VOCs, no matter what the label says. 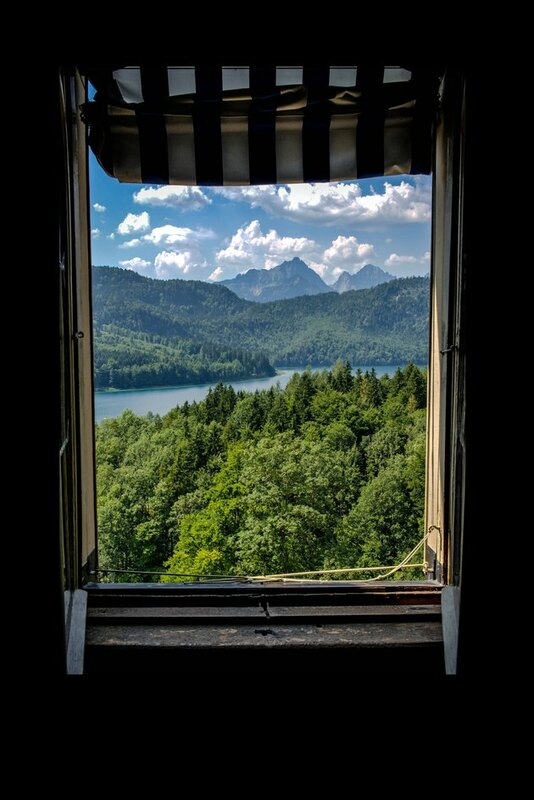 Let the fresh air flow. Provide plenty of ventilation when undertaking any activity that you know increases the VOC concentration in the house. The activity could be cleaning, painting or trying to control insects with a pesticide. Open a window and run an exhaust fan while the activity is in progress and for a few hours afterward. Run an air purifier with a High-Efficiency Particulate Air (HEPA) filter in your bedroom while you are sleeping and during the day in other parts of the house where you detect odors. Read and follow safety directions on the containers of paints, cleaning fluids and solvents. Keep containers closed and safely stored when not in use. Wear a respirator when painting, even if you're using a VOC-free product. Certain VOCs, especially those in commercial insecticides, are especially noxious and dangerous. Try to avoid using the products that contain them and switch to environmentally friendly products instead. There are many safe insect remedies, including orange oil spray and boric acid bait. For cleaning, consider vinegar and dish soap as alternatives to commercial cleaners. If you have to use a product with harmful VOCs, consider setting out trays of baking soda or onions to absorb the airborne chemicals. What Household Items Have Acetone in Them?